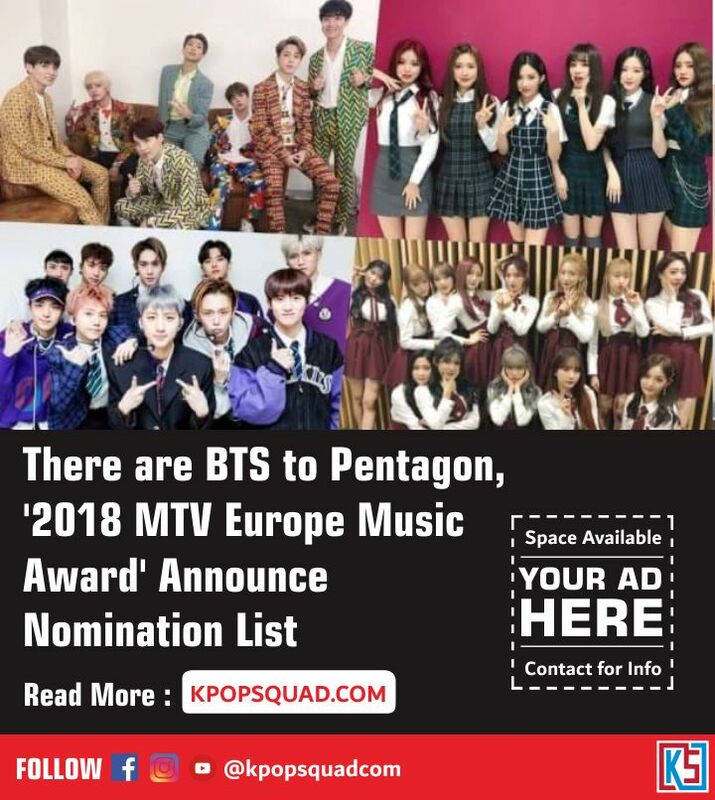 The MTV Europe Music Awards (EMAs) have announced a list of nominations including the Biggest Fans and the Best Korean Act awards! BTS fans, ARMY was nominated for the Biggest Fans award along with fans from Camila Cabello, Selena Gomez, Shawn Mendes and Taylor Swift. Then Nominations for The Best Korean Act this year are WJSN (Cosmic Girls), (G) I-DLE, Golden Child, LOONA, and PENTAGON. The previous winner of the Best Korean Act award was EXO in 2013, B.A.P in 2014, BTS in 2015, B.A.P in 2016, and GFRIEND in 2017. The winner of MTV EMAs is determined from online fan votes. This year's awards ceremony was held on November 4 at the Bilbao Exhibition Center, Spain.